As Shakespeare’s Hamlet kind of didn’t say, “Tea bag or no tea bag, that is the question.” But nevertheless it is a question worth pondering. For many years the only kind of tea I knew was made from tea bags. But the tea bag is a very recent invention in the history of tea drinking. It is an innovation that offers some convenience, but brewing loose leaf tea has many advantages over using tea bags. 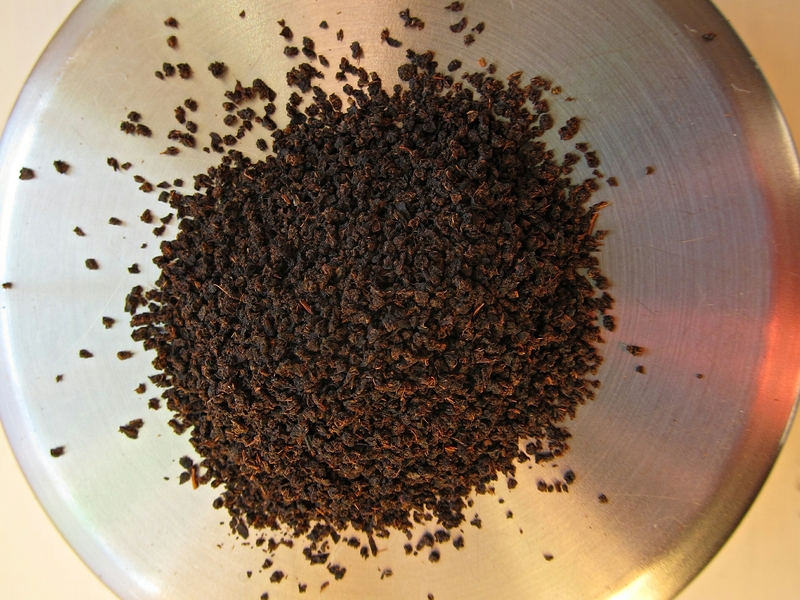 Whole tea leaves of a black tea from Nepal. 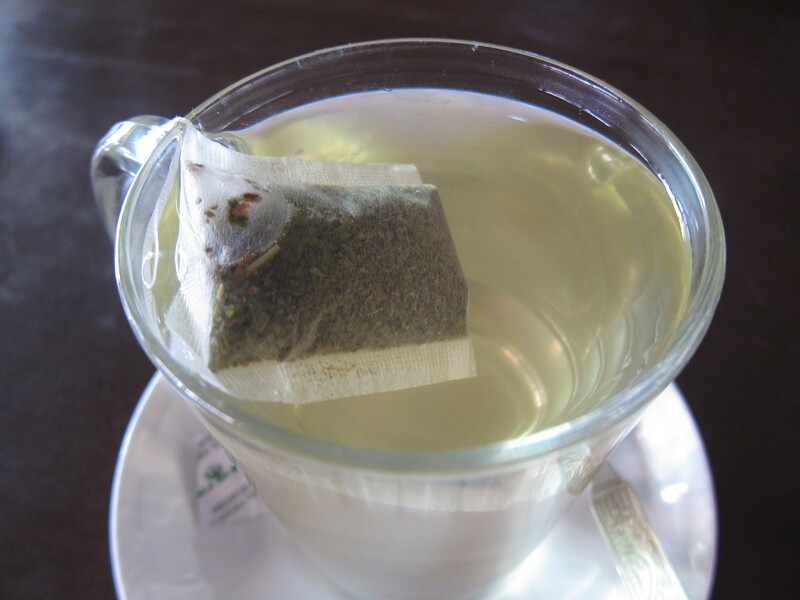 Most tea bags are made from paper but many specialty tea companies use plastic (nylon) bags. Without considering the relative (de)merits of each type of bag, let’s look at the larger picture of using tea bags vs. brewing loose leaf tea. Pro. Tea bags are convenient, because: they pre-measure the correct quantity of tea per cup (vs. the need to accurately measure loose leaf tea); they are portable; they eliminate the need for tea strainers or infusers; they can be found in any grocery or convenience store. Con. The manufacturing of tea bags uses resources and tea bags create more waste. There may be toxic substances (e.g. bleach, plastics) in tea bags. It is more difficult to evaluate the quality of the tea leaves in a bag, and in fact most tea bags contain only tea dust or fannings and at best, CTC tea. For whole leaf tea, the tea bag can prevent the leaves from fully opening, leading to an inconsistent infusion. 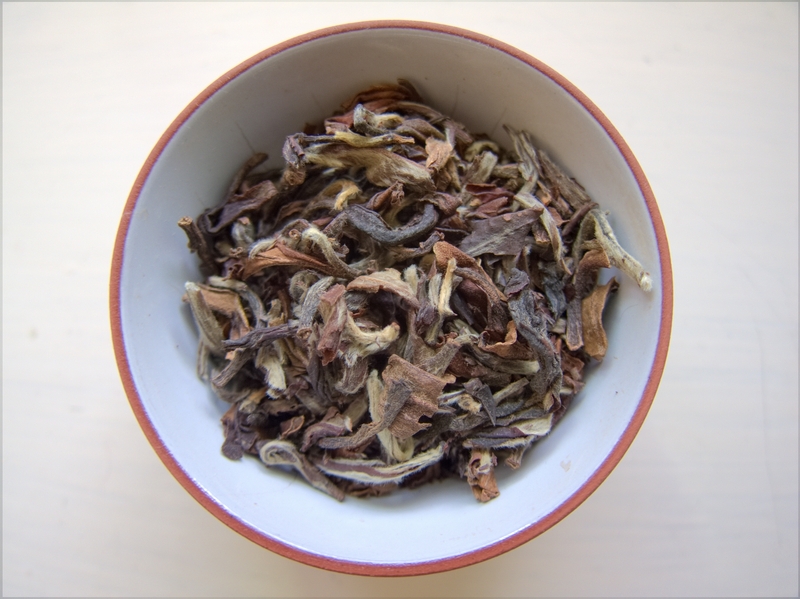 Loose tea can also be steeped more than once, and often several times, as in the case of some oolongs. Contents of a common black tea bag. Oolong tea leaves, opened up after steeping. Considering the above, some better ways to brew tea would be to steep loose tea in a cup or pot and decant the infusion through a strainer; or use a container with a very large stainless steel infuser; or steep the leaves in the traditional Chinese gong fu style. 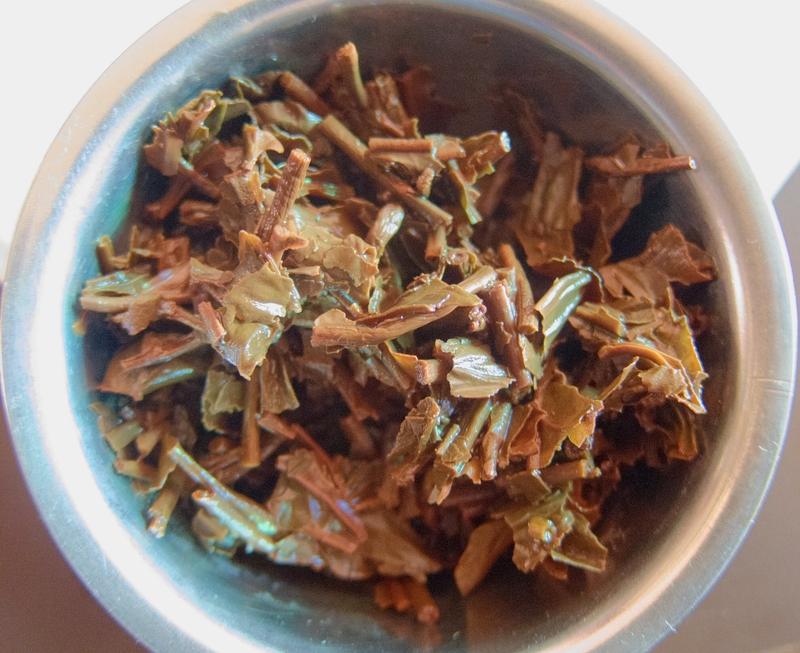 Tea leaves after steeping. Note that this tea is “broken leaf,” not whole leaf. Does this mean that I never, ever, enjoy tea made from tea bags? Of course I do! In the grand scheme of things, you and I (and maybe Hamlet too) would probably agree that there are many things worse than using tea bags. But I think it’s important to understand the implications of even our simplest choices. “Are Your Tea Bags Toxic?”. Bottomline Health, 13 September 2013. Derbyshire, David. “Are Tea Bags Ruining the Environment?” news.com.au. 2 Jul, 2013. Begley, Sarah. “A Brief History of the Tea Bag.” Time. 3 Sep 2015. Orci, Taylor. “Are Tea Bags Turning Us Into Plastic?” The Atlantic. 8 Apr 2013. Informative! I have a nice big stainless steel strainer but I also use tea bags. I like your references to Hamlet! I will give loose leaf tea a try! Very informative, Sharad! Have to drink loose tea more often! Thanks for the support, Lauren! I also like white and green tea. I’ve got some Assam white tea that I’m eager to try.